Gliomas are the most common brain and spinal cord tumours, comprising about half of all brain tumours. Their cause is unknown and only rare cases are genetic or inherited. A tumour of astrocytes forms an astrocytoma. The astrocytes have many tentacles that form a sponge-like skeleton that supports the nerve cells. They also help nerve cell nutrition. Astrocytomas form about 90% of all gliomas. This cell makes myelin, which is an insulating sheath around the nerve cells. A tumour of these cells is called an oligodendra glioma and these make up about 5% of all gliomas. 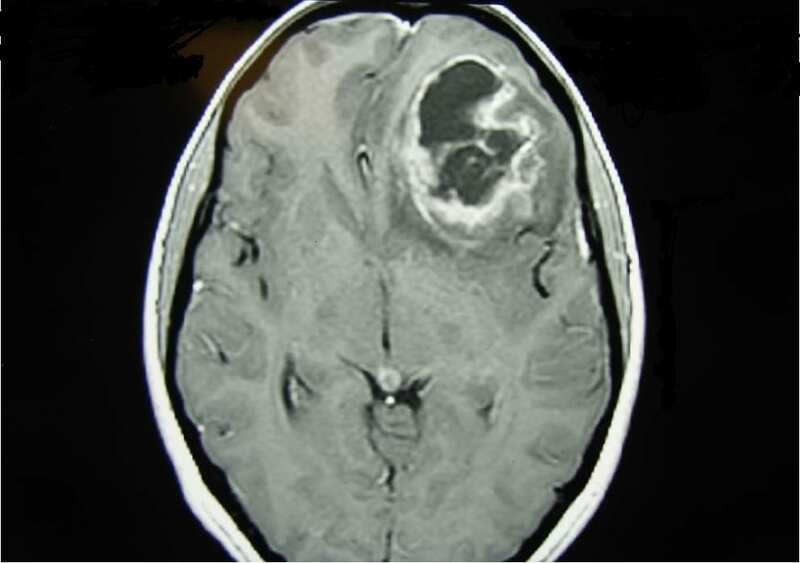 Some tumours contain both oligodendra glioma and astrocytoma elements. An ependymocyte is the cell which lines the ventricles or cavities within the brain and the spinal cord. A tumour is called an ependymoma, which makes up about 5% of gliomas. These tumours are more common in children. Pathologists also classify gliomas into grades. Grade 1 is the slowest growing; grade 4 the fastest growing. A grade 4 tumour is also called a glioblastoma or glioblastoma multiforme (GBM). Pilocytic astrocytoma often occur in children and can be cured with surgery. The most common example is the juvenile pilocytic astrocytoma which often occurs in the cerebellum. This type of tumour usually occurs in adults. It quite often presents with seizures. It is called an astrocytoma or a diffuse astrocytoma. Anaplastic astrocytoma is also called a malignant cytoma. It is fast growing and more invasive than the low grade astrocytoma. Glioblastoma multiforme is an aggressive tumour which is unfortunately the most common type of brain tumour in adults. The objective of surgery is total removal of the glioma. Sometimes this is not possible because of the tumour’s location, as there is often no clear boundary between healthy cells and a tumour. In addition to this, tumours tend to regrow after removal. Often the tumour cells extend well beyond what can be seen on imaging studies or at surgery. This is why gliomas tend to regrow at their site of origin. Even when the tumour has been removed, radiotherapy and chemotherapy are also needed to help prevent tumour recurrence. Radiotherapy and chemotherapy are standard practice for grade 3 and grade 4 tumours. Radiotherapy is supervised by a radiotherapist and chemotherapy is administered by a medical oncologist. The prognosis or lifespan of patients with gliomas depends on the type of tumour, its location, the extent of surgical resection and its response to other therapies. There is considerable variation in individual patient responses. Meningiomas account for 20 percent of cerebral tumours. The meningioma is a tumour of the covering of the brain and spinal cord. They are generally benign tumours that grow on the surface of the brain or base of the skull and compress the brain or spinal cord. Surgery is the primary treatment and many meningiomas can either be cured or controlled for the life of the patient. While most are benign, a few are more aggressive and tend to recur. These are called atypical meningiomas. They are rarely malignant but can regrow quickly. For this reason, Dr Steel performs regular MRI scans every one or two years after surgery. 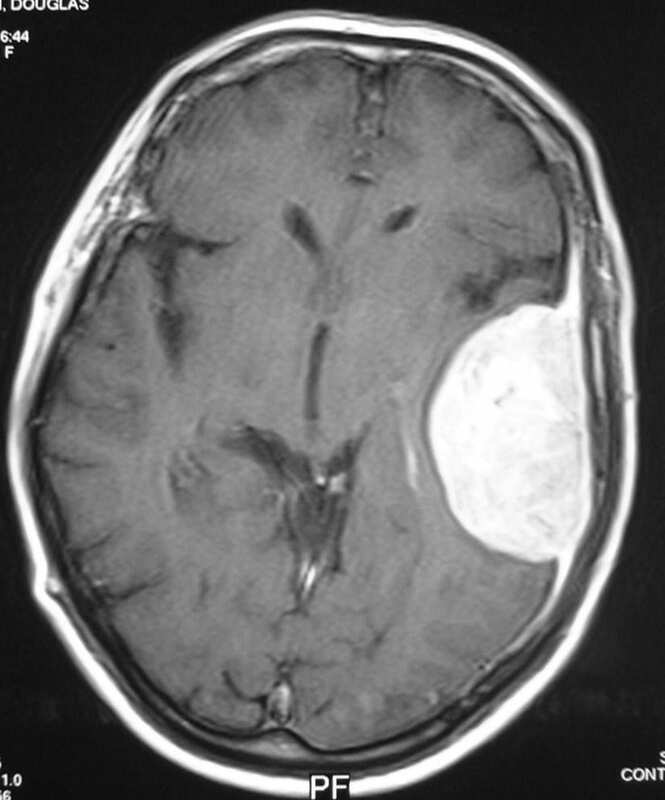 Occasionally, very aggressive meningiomas may require radiotherapy. This can either be standard radiotherapy or sometimes a localised form of radiotherapy – called stereotactic radiosurgery – is used for some tumours (generally those less than three centimetres). The prognosis for meningiomas is generally excellent, but is also dependant on the site of the tumour within the brain. This is a tumour of the eighth cranial nerve. There are 12 pairs of cranial nerves and 90% of acoustic neuromas arise from the balance portion of the eighth cranial nerve. These tumours are called schwannomas and they tend to present with hearing loss and increasing deafness. Surgery has been the mainstay treatment and it usually results in a cure. More recently, stereotactic radiosurgery has been used for small (less than 3cm) tumours. But since tumours tend to shrink rather than go away, one to two-yearly scanning is required. Nonetheless, radiosurgery appears to be a valid treatment option. When surgery is performed today, it is generally done through the ear, performed by an ear, nose and throat surgeon, sometimes in conjunction with a neurosurgeon. On the rare occasions that these tumours are large, we perform an exposure approaching from the back of the skull.